﻿Anna Mangiarotti, born in Milan in 1950, graduated in architecture at the Faculty of Architecture of Politecnico di Milano in 1975. Beside her professional activity, she has an academic carrier as a professor of Architecture Technology. Her design method is based on the knowledge of materials and the use of the best technology to build architectures which take environment into consideration and which are harmonious for the people who live in them. Anna Mangiarotti studies deeply all the different phases of the project, taking her work from the early heuristic drawings to the construction details and the executive drawings to get used on site; what makes her different from other architects is her deep knowledge of the entire design course. Within her main projects, there are the Sport Palace in Comun Nuovo (Bergamo, 2002), the Pavilion of Cardiovascular Department of Ospedali Riuniti (Bergamo, 2000), a multifunctional building for S. Pietro all'Olmo Parish (1999); and also a long collaboration with AEM (Milan Energetic Company) which was realized in the building of some technological architectures for plants and some service and exhibition centers. Together with many professional, she participated to national and international architectural competitions. 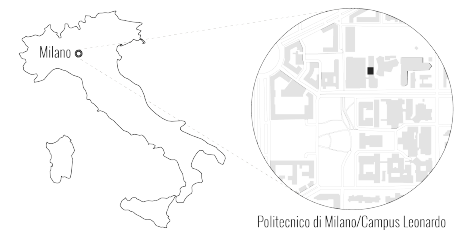 In the academic ambit at Politecnico di Milano, she holds the chair of the Laboraratory of design of constructive systems and of two doctoral courses. She participates to researches funded by Government, CNR (National Council of Research), ENEA and other external associations. Within these researches, some must be mentioned, like "Meta-design study on the use of aluminium in the building envelope" as well as "Politics, projects and techniques for the rehabilitation and transformation of urban suburbs". Anna Mangiarotti completes her intense didactic activity with the publication of books and articles about the language of architecture and innovation in executive techniques.